Is your upcoming conference or business meeting in Beijing? Are you heading overseas to meet your Chinese partners in their capital? During your trip, you’re going to need a Mandarin Chinese-English Beijing interpreter and Chinese translator to aid you to overcome the extensive language and cultural barrier during your time in China. Fill out a free request for a quote on my Chinese-English interpreter services in Beijing on the right side of this page. As a professional and experienced Beijing interpreter, I know that it is a daunting challenge for visitors, but I am here to assist you and make your stay and business more comfortable. As I am also a professional and qualified tour guide in the city of Beijing, I can also help you with maneuvering the cultural differences that most are not familiar with when they visit not only the capital, but also throughout the country of China. In addition, I also translate written material, whether it be emails, websites and other forms of documents. Don’t allow the language barrier to stop you from doing business with Beijing as I am happy to help you with all verbal and printed texts to translate as your Beijing interpreter. 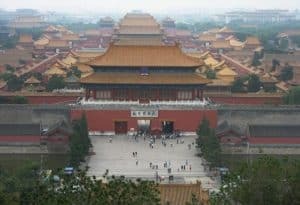 In the event that you want to visit Beijing, China for business, meeting, factory tour, tourism or conference and you require an expert Beijing translator or Beijing interpreter or English speaking tour guide to help you subdue the dialect and cultural hindrances, you don’t need to stress yourself. All you need to do is to contact me for booking and you will be provided with an expert and dependable Chinese interpreter in Beijing. I will provide you with my translation and interpretation skills, but I will also help you to navigate the cultural differences that you may not be familiar with when visiting the country. Below is some information on the city and will also require you to have a look at the rest of the site. Beijing serves as more than just the capital of China, instead it provides a pivot for visitors of modern architecture alongside its famous ancient sites. It is the second largest city in China and has a population of 11.51 million people. Great Wall of China, Beijing, the Forbidden City Complex, Ming Tomb, Temple of Heaven, Beijing Zoo, Summer Palace, Tiananmen Square. To hire a Beijing interpreter just fill out the form on this page to request a free quote.